Some might choose modern. Others could only be described as casual. No matter how you embrace life, Omega has a cabinet design style that will not only mirror your mantra, but will also exceed your expectations. 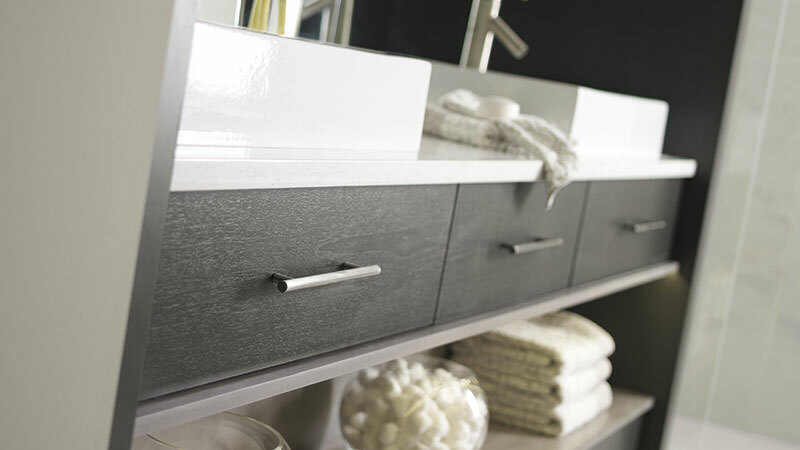 Learn more about popular design styles to determine your preference, and find the cabinet look that is right for you. Walking a fine line between utilitarian practicality and modern design, Contemporary styling is all about open spaces and clean lines. Sparingly decorated with large scale and often times — bold color — the Contemporary design style relies on a sleek appearance with minimal clutter to create a modern level of elegance.